For a truly awesome spring break getaway, there is only one place that offers the best of everything: Las Vegas. With days filled with warm sunshine and nights full of anything and everything you can think of, Vegas should be your one and only spring break destination. When you are planning your spring break Las Vegas trip, you might think that all you need to do is snag a decent hotel and let Sin City take care of the rest. Instead, trust a team of Vegas experts to create the best VIP experience you can imagine. A team of industry insiders like the professionals at Vegas Party VIP can give you VIP access to the hottest spots in Vegas, plus create experiences for you that are beyond your wildest dreams. Go on a VIP Vegas club crawl. With the long list of incredible nightclubs in Vegas, you’ll want to hit as many hotspots as you can. Vegas Party VIP can provide you with special access to 4 top-rated clubs, including luxury party bus transportation between locations – one of the best club crawls LV has to offer. Make the most of the 24/7 party in Vegas. Snag bottle service for you and your friends, hit one of the high-end gentlemen’s clubs the Strip is famous for, and you will be partying until dawn. You can close the evening with an early breakfast, and then grab a quick nap before heading back out for the day. Recover with a relaxed day of exploring the Strip. Once the sun rises, the Strip looks a lot different – but there are still plenty of fun things to do. Take a day or two to just walk up and down, exploring all of the shopping and unique attractions it has to offer. Enjoy a luxurious dinner from the best chefs in the world. The list of restaurant chefs in Vegas reads like an all-star lineup of the best names in the business. You absolutely cannot miss out on the opportunity to eat what very well may be the best meal of your life. Get an insider look at Vegas. There are a variety of professional tours you can take for a unique Vegas experience. Go on a culinary adventure, explore the area’s Mafia history, or fly high over the city on a breath-taking helicopter tour. If you want to put together a spring break jam-packed with incredible experiences like these, your first call should be to Vegas Party VIP. There is no other team in Vegas that can provide you with the access to all of the best hotspots, guaranteeing you the unforgettable vacation that we can. We have experience with all situations, especially birthday party blowouts and special occasion parties in Vegas. 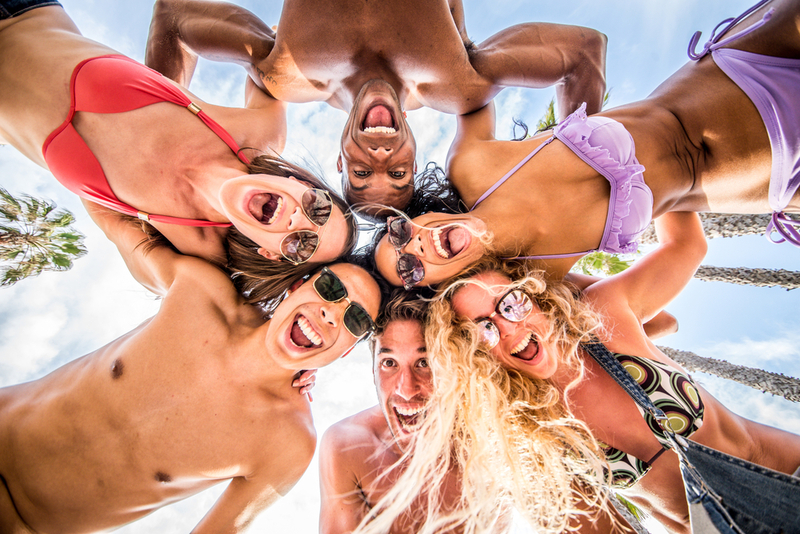 Contact our team to start planning your mind-blowing spring break today.